An EBP Ambassador is an employee or apprentice who is interested in working with students on a wide range of activities to help them better understand the world of work and future employment opportunities. 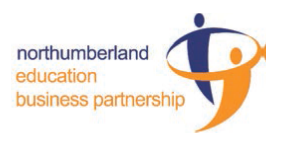 The following training dates have been confirmed and are for colleagues who are interested in joining the Northumberland Business Ambassador Programme or, if they are apprentices, the Apprentice Ambassador Programme. Both sessions will be held in BP5325, Benton Park View, Benton Park Road, Newcastle Upon Tyne.